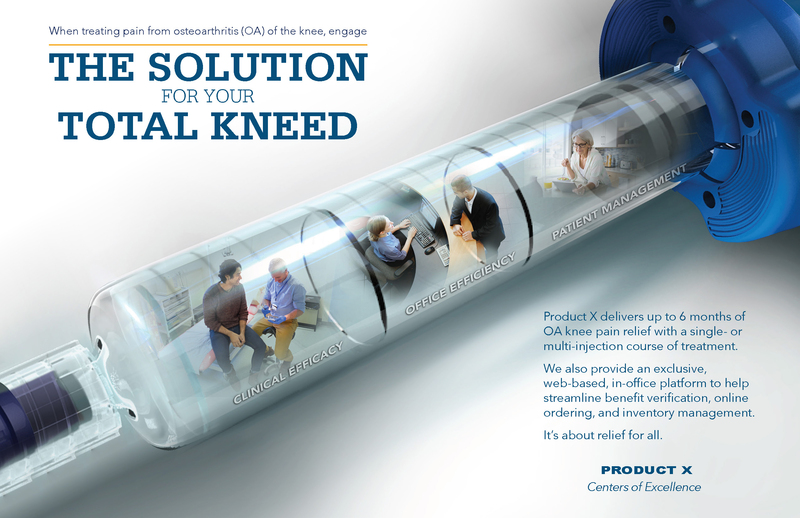 Our client in the osteoarthritis knee pain market was seeking a physician-facing brand campaign concept for a visco supplement injection. 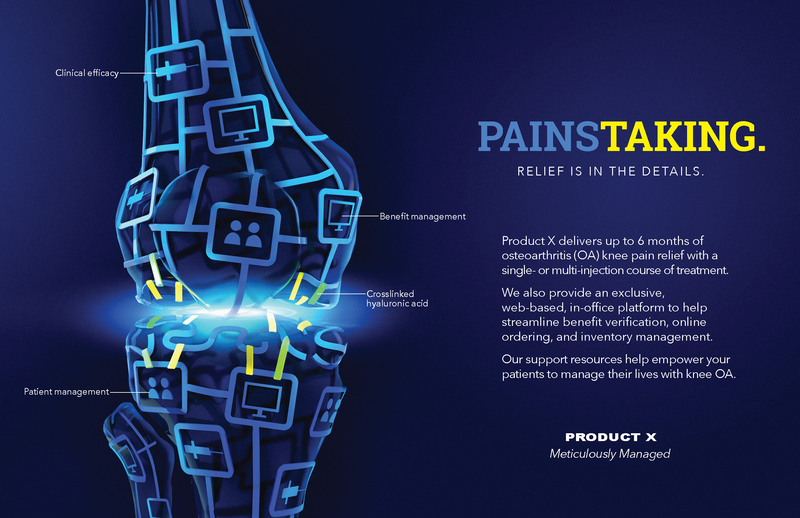 They wanted the art to focus on the extensive offerings of product's doctor and patient support systems. 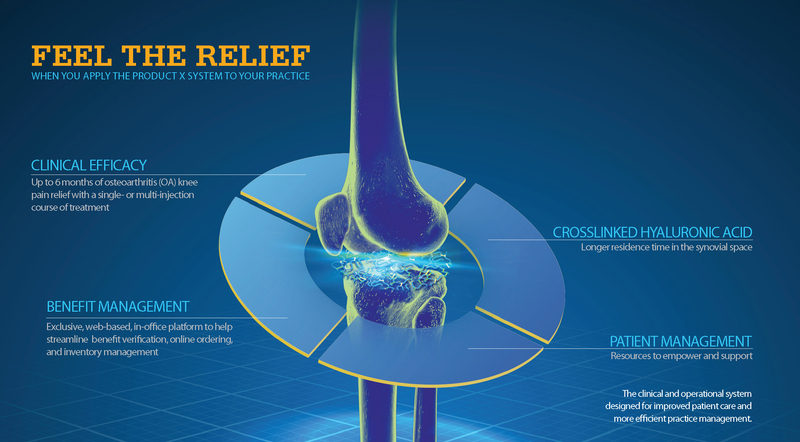 The syringe concept was eventually developed into a trade show booth and an animated digital sales aid for tablet devices.